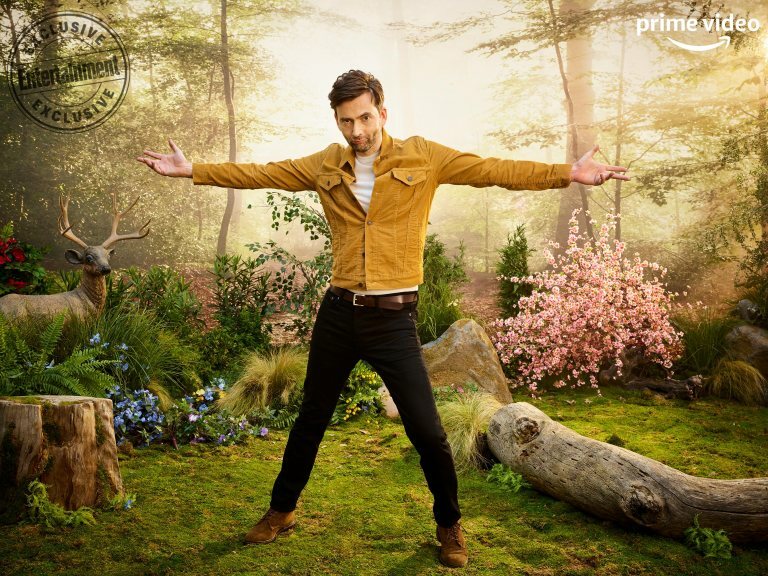 David Tennant, his Good Omens co-stars Michael Sheen and Jon Hamm and the show's creatives Neil Gaiman and Douglas Mackinnon feature in Entertainment Weekly's exclusive SXSW photo gallery of Amazon Prime Video stars. 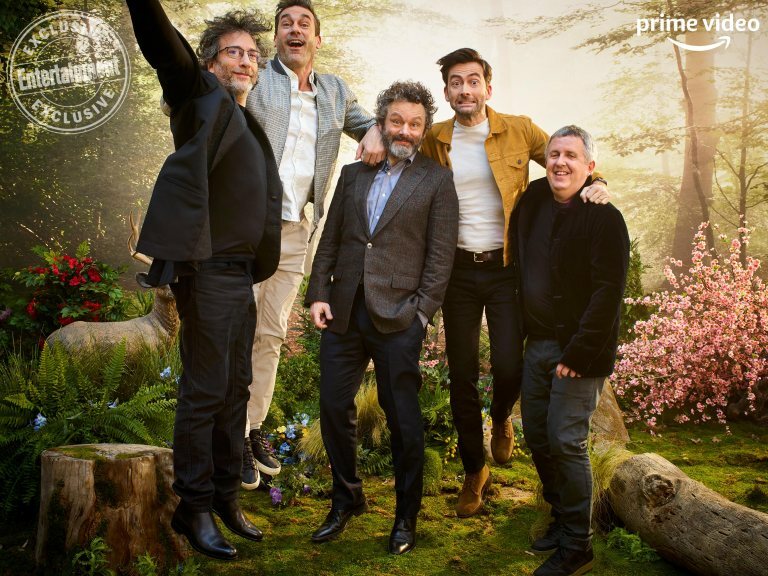 The annual festival of film, music, entertainment and media takes place in Austin, Texas, and this weekend the fun centred on the Good Omens Garden Of Earthly Delights, an imersive space of over 19000 square feet transporting visitors into the world of the beloved novel. 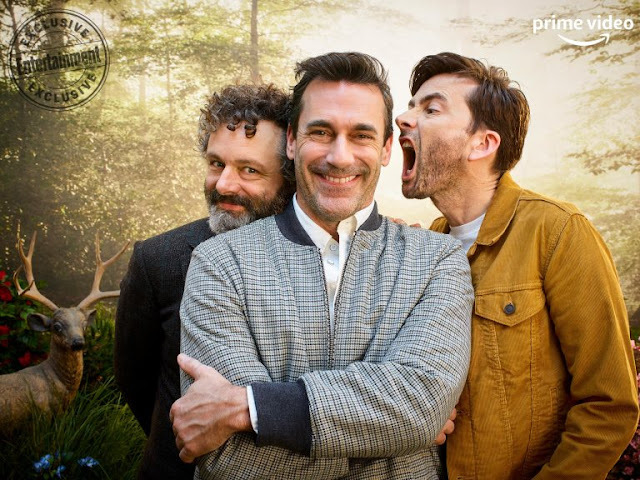 David and co-stars apeared at the event to Saturday at a panel to talk about the making of the show and to share exclusive footage. 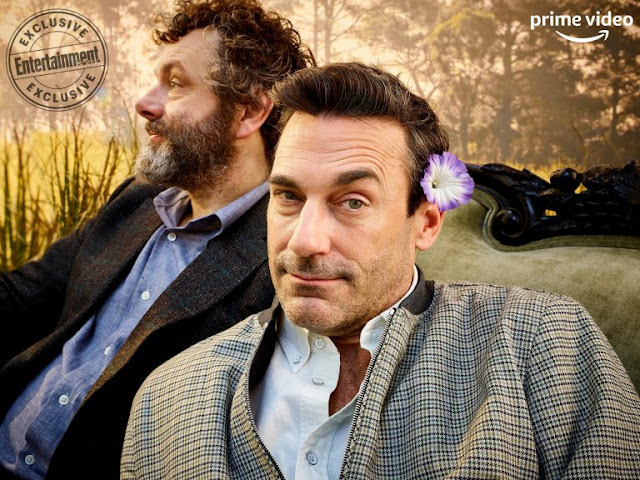 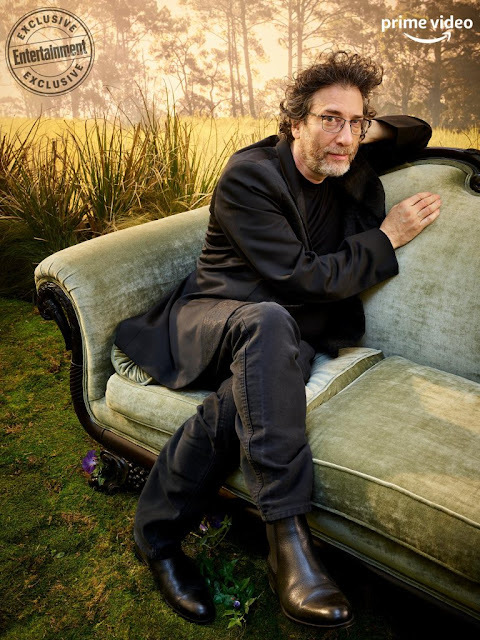 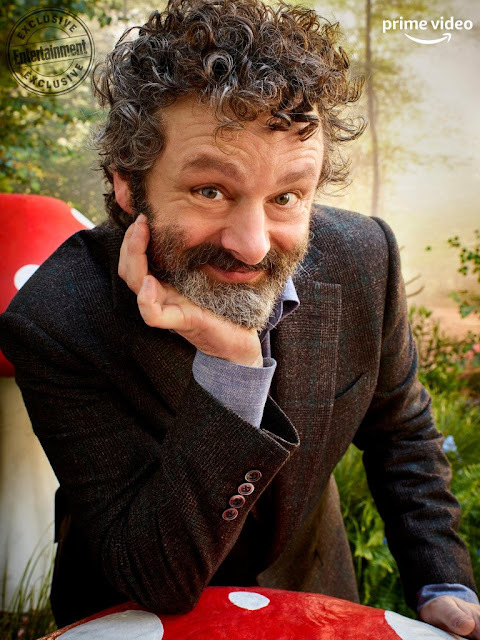 The photos of the Good Omens team and other stars of SXSW were taken by Peggy Sirota in the Prime Video Blue Room, an exclusive speakeasy and portrait studio tucked behind the Garden. 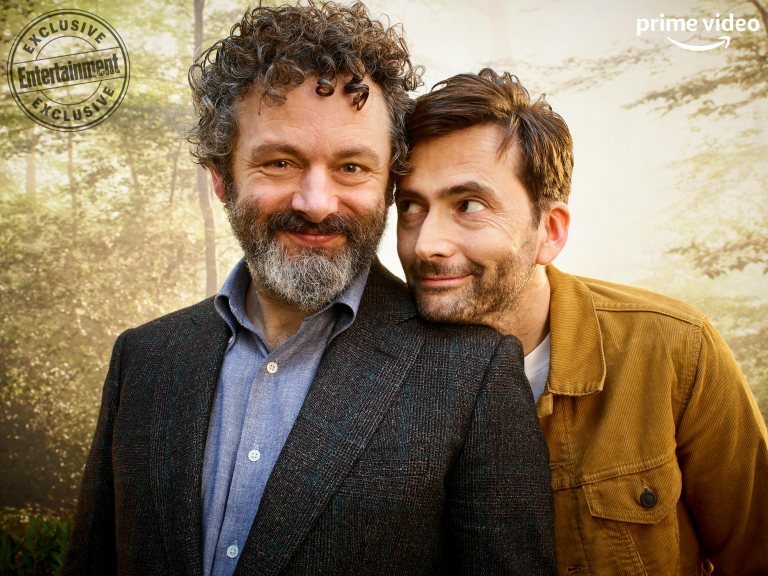 The six-part fantasy comedy Good Omens, based on the cult novel by Neil Gaiman and Terry Pratchett, also stars Adria Arjona, Michael McKean, Jack Whitehall, Miranda Richardson, Daniel Mays, Sir Derek Jacobi, Benedict Cumberbatch and Anna Maxwell Martin. It launches worldwide on Amazon Prime on May 31st.